They seemed gifted with a kind of magnetic power, which, with their grips and pass words, drew those of different localities together, making them choose the least travelled ways and the deep shadowed ravines and valleys lying on each side of our beautiful hill, soon seemed to be the popular route chosen by the wayfarers. 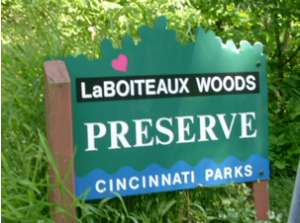 The eastern ravine of Hamilton Avenue is located in LaBoiteaux Woods and the western ravine is located in Greeno and Tanglewood nature preserves, all three are under the Cincinnati Park Board. 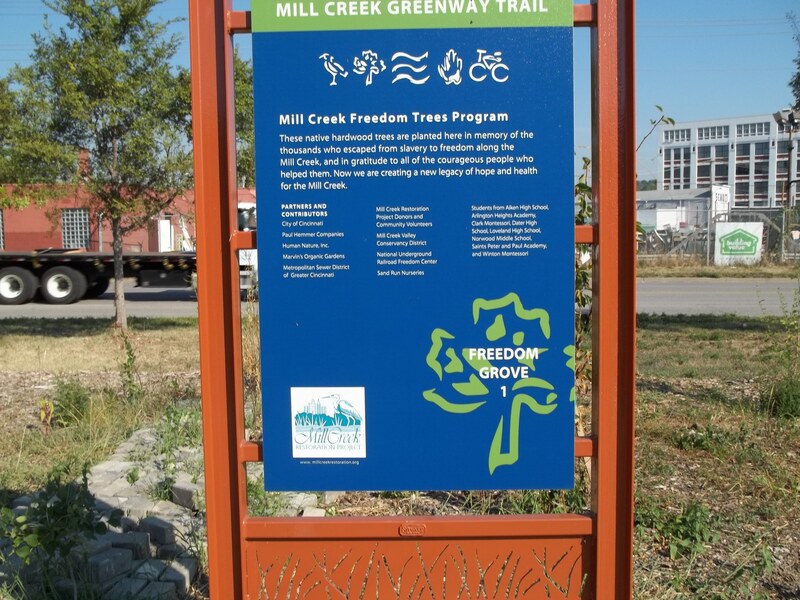 In 2008, the first Ravine to Freedom program would be held at LaBoiteaux Woods telling the stories of the Underground Railroad spanning the communities of Northside, College Hill, North College Hill and Mt Healthy along Hamilton Avenue. The program was offered in February, during Black History month, to give participants a “feel” of what it was like for the slaves to travel in the cold and over rough terrain. Many of the slave escape stories happened during the winter when they would cross a frozen Ohio River. In October 2010, The National Underground Freedom Center would partner with students from Miami University for their first Freedom Walk. These young men would walk forty miles from the Margaret Garner memorial in Covington Ky. thru Cincinnati up the Ravine, with an overnight stop at Six Acres Bed and Breakfast. They would continue on their way to Miami University in Oxford. It was at this time that LaBoiteaux’s Ravine would receive a designation from the Freedom Center as the only “document, undeveloped local escape route”. 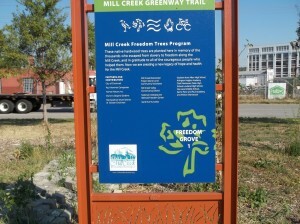 In 2012, Kathy Dahl (Cincinnati Park naturalist) would partner with Betty Ann Smiddy (award winning author and historian) to form the Hamilton Avenue Road to Freedom committee. 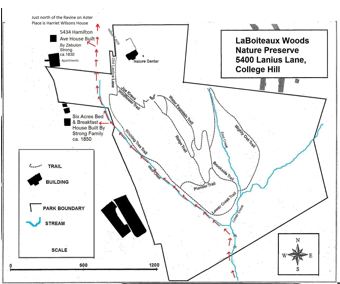 The meeting, held at LaBoiteaux Woods, included representatives from the historical societies of Northside, College Hill, North College Hill, and Mt Healthy; Cincinnati Park Board, National Underground Railroad Freedom Center, Hamilton County Recorder’s Office and Ohio Historical Society Ameri Corp. This meeting would be the catalyst for further Hamilton Avenue Road to Freedom research, map and website. 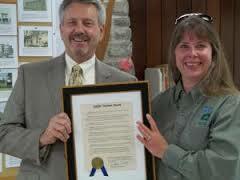 During 2012 Kathy Dahl would receive the Hamilton County Recorder’s Office “Griffin Yeatman Award” for the Ravine to Freedom and Wesleyan Cemetery programs and an Ohio Parks and Recreation “Historic Interpretation Award” for the Ravine program. To date, over a thousand people have attended the Ravine to Freedom programs. The staffs at Cincinnati Parks and LaBoiteaux Woods remain committed to the sharing of these stories.